13. 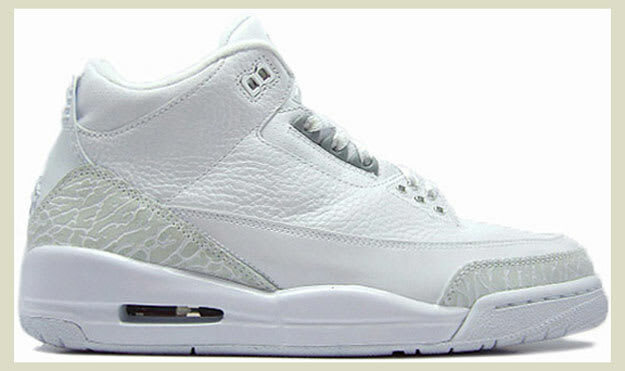 Air Jordan III "Pure Money"
Complex says: Even before the Silver Anniversary, there were all-white Air Jordans. The "Pure Money" III added in some light grey elephant print and chrome accents so it wasn't all monochrome, but white-on-whites are still a challenge outside of the summer months.